Once upon a slime, there was a Slodge. The first Slodge in the universe. She saw the first moon and stars, the first fruits and flowers. “Mine, all mine!” she said. But what if there was not just one Slodge . . . but two? 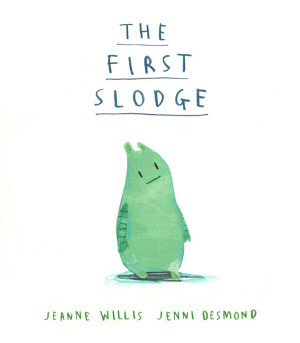 A wonderfully original and witty picture book from the award-winning author, Jeanne Willis (Who’s in the Loo? and The Bog Baby). 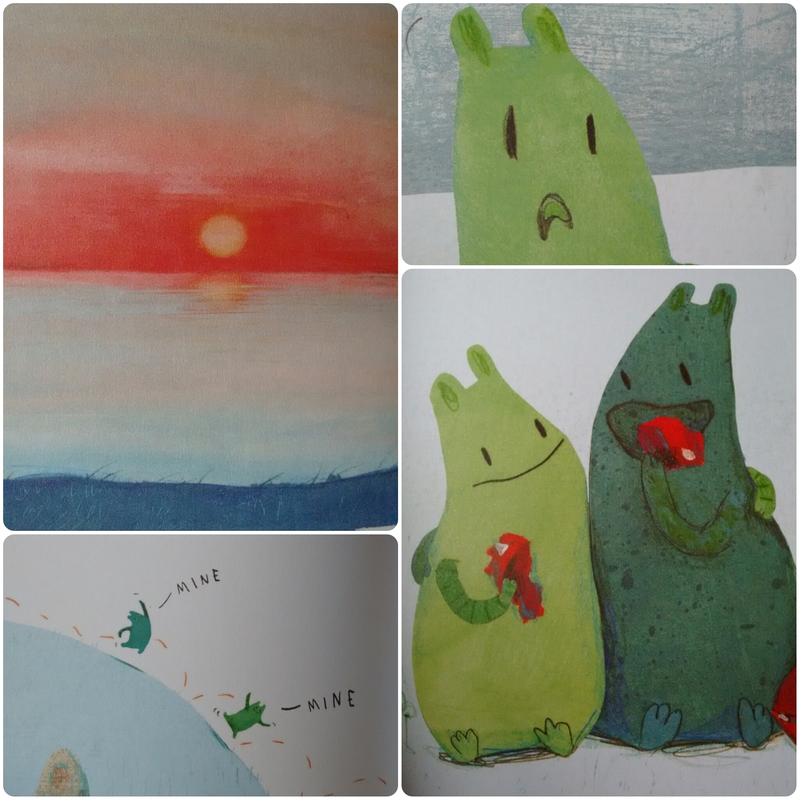 This humorous exploration of sharing and friendship carries an important message: that the world belongs to everyone. Captivating illustrations from Jenni Desmond (Red Cat, Blue Cat) will delight adults and children alike. A book to share and treasure. Jeanne Willis is well known for her humorous picture books often illustrated by Tony Ross, but this new collaboration with Jenni Desmond is something very special. As with all the best picture books, this can be read on many levels. It is a story about learning to share; it is a story about overcoming differences; it is a story about friendship; perhaps it is a story about an unfamiliar pre-historic world. Most small children will relate to the concept of everything being MINE, but The First Slodge will expand their thoughts from small toys to the wide universe. Who owns the stars and the sky? Who owns us ourselves? Children are great at looking at philosophical questions in a new light, and The First Slodge might give them inspiration for some big thinks, or some splodgy art. Inspiring and beautiful are the words I’d use to describe this book, the Chaoticians use ‘awesome’ and ‘cute’ and ‘again!’ Personally, I get a little teary eyed at the end of the book when the First and Second Slodges start to use our instead of my.